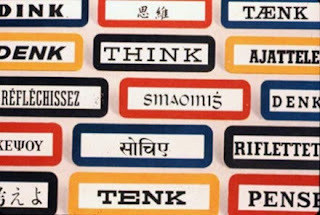 In the 1920 and 30s, International Business Machines—IBM—began using a one-word slogan developed by founder Thomas Watson, Sr. They printed it on signs and handouts, on their magazines, calendars and medallions. My dad had a friend with IBM who gave him a small leather portfolio that my dad then gave to me. It was embossed with just that one-word slogan and my dad pointed to it and told me to put it into practice. I’ve long since lost that portfolio, but I’ve never forgotten the word and its imperative. Think. Thinking is one of the great privileges of being human. To consider the great questions of life is uniquely granted to the part of creation made in the image of the Creator. And one of the highest privileges in life is to be a part of a community such as OBU where we devote a significant amount of time and effort in preparation for life to the joy and demands of thinking. Of all the glories afforded royalty, the greatest is the privilege of study and inquiry, of testing, measuring and meditating. Kings and queens have as a royal privilege the luxury of searching out a matter—they get to think. And that same privilege, that same glory is ours as faculty. Students, you are afforded the opportunity to devote a significant part of the most formative years of your life to the luxury of inquiry and learning. For the next four years you get to commit yourselves almost wholly to the luxury of kings and queens. You get to think. Now, that is not to say that once you have completed your studies at OBU, your days of thinking are over. Instead, the habit of thinking and the glory of searching out a matter ought to be so ingrained that you are forever devoted to a life of learning. May you never be satisfied with shoddy argument and rhetoric. May you never be content to settle for shallow reasoning. So we gather today to commence a new academic year at OBU. As a community we gather to celebrate this awesome duty and privilege we are afforded. We gather for a season in life to ponder and imagine, to question and investigate. We join with each other for a season in life to think. During this season together, here are three areas I challenge you to think about. Let me begin first with a grand scale and then move to a more personal challenge. First: Origin, purpose, destiny. Think on the grand questions. Consider the cosmos and its existence. Consider the implausibility of life itself. Think about the great questions of life. From where did we come? What is the purpose of it all and why do things seem to have gone terribly wrong in our world? What is next, what lies beyond the grave? In short, think about origin, purpose, and destiny. Dear students, you cannot know how privileged you are to study at OBU. Perhaps it will be at a pivotal moment early in your career or at crisis point in middle age, or even in the autumn of your lives, but you will come to understand at some point the blessing of considering these grand questions of life at a place like OBU. Therefore, we can openly look at origins and discuss secularist viewpoints, naturalistic viewpoints, theistic viewpoints. We do so confident in and convictionally certain that, in the beginning was God, and the Word was with God, and the Word was God. He was in the beginning with God and through Him all things were made, and nothing was made apart from Him—that is apart from Jesus who is the Word. We see then behind every law of science, behind the grand movements of the cosmos, behind history as it unfolds, behind all that exists is the mind and person of Jehovah. We find our origin, our purpose, and our destiny in the discovery of His universe. And yet, here is a warning. No matter how much honest inquiry, no matter the degree and depth of your study, do not be surprised that not all of life’s questions can be satisfactorily answered. Deuteronomy 29:29 reminds us, “The secret things belong to the Lord, but the things revealed belong to us and our children…” Many things are worthy of our thinking and meditation and yet, I am still overwhelmed by concepts I believe to be true but cannot adequately explain: the Trinity, eternity, quantum mechanics, the qualities of carbon in organic chemistry. Like Francis Schaeffer before him, Zacharias uses critical thinking to show the fallacy and despair of nihilists and atheists. Becoming a critical thinker is more needed today than at any other time in our history. Francis Schaeffer wrote, “As Christians we are not only to know the right world view…but consciously to act upon that world view, so as to influence society in all its parts and facets across the whole spectrum of life, as much as we can to the extent of our individual and collective ability.” That quite frankly is so counter to our own society, which suggests that Christian thinking may occur; just don’t let it be of any influence. Everyone has a world view. Everyone has presuppositions. Everyone sees the world through a lens. A distinctively Christian education sees and approaches the world through the lens of faith. And so to think christianly is to see nursing, commerce, the arts, the sciences, music, law, politics, psychology and sociology, education and indeed all of our subjects of inquiry and study through the eyes of faith. But, a couple of warnings. First, thinking critically is often confused with the notion of being merely critical. Critics love to claim they are critical thinkers but beware of those who make much ado of their own skills and their own superiority complexes and claims of being a critical thinker. I have found that critical thinkers do not often need to lay claim to the title any more than a humble person needs make claim to humility. Loudly labeling oneself as a critical thinker more often than not exposes the opposite just as one who boasts of her humility demonstrates anything but. I had a wonderful friend about 50 years old named Mike that I co- pastored in Missouri. He had the mind of a 10 year old and was very loving and outgoing. My co-pastor and I preached every other week and during one sermon series my colleague was sharing, he spoke on the danger of pride and the blessing of humility. He worked up to a crescendo and stated, “You want to know the definition of humility? Just look at Mike!” And at that very moment Mike shouted from the sanctuary, “That’s right!” Now Mike didn't realize what he had said nor appreciate the irony and as innocent as his statement was, it does illustrate a truth about humility. If you claim to be humble, you ain't. Likewise the eccentric person needs make no claim as an eccentric. An eccentric is not someone who claims to be eccentric. And when one claims the title of eccentric, they demonstrate only that they desire to be seen that way, or they desire to be allowed certain dispensations in their lack of tact. Beware the one who labels himself as humble. Beware the one who label himself the eccentric. And beware the one who claims they are neutral in their presentation of ideas, theories, claims and facts under the mantra of critical thinking. For everyone is as an advocate of something. Everyone operates from a worldview. Everyone has presuppositions. Everyone has an agenda, admitted or not. Often one hears the most dogmatic individuals loudly proclaim their commitment to critical thinking and neutrality. But be careful with those individuals, as they often prove to be sophists who may be skilled at rhetoric but who manipulate and indoctrinate in the name of critical thinking. More often than not, such individuals are the poorest of thinkers and scholars. So be aware and apply your own critical thinking to those who seem more interested in criticizing for the sake of being critical rather than genuinely seeking truth and understanding. Additionally, be aware that thinking christianly is not the road to popularity. This is not the road to being celebrated by the world. And this brings me to my third and final challenge for thinking and it is more personal in nature. Third: Be countercultural and a genuine radical in a crumbling culture. As you study and prepare during your time on Bison Hill, I challenge you as a Christian thinker, as a critical thinker, to consider living life as a countercultural and genuine radical. That language makes some uncomfortable, especially for those of us in the post-fifty age category. But we live in a crumbling culture and as Boice has written about in his excellent work, Foundations of God’s City: Christians in a Crumbling Culture, we live in a time—particularly in America—of the cult of self and unbridled individualism, of humanism and secularism. I argue that what is needed are genuine radicals, not would-be pretenders who settle for appearance. In fact, most of those who claim to be radical and countercultural spend a majority of their time and effort trying to imitate and dress and act like what the world sees as cutting edge; they settle for outward symbolism of what the world celebrates and as a result, all they succeed in being is an exaggerated picture of the world and culture around them. In reality, there is nothing radical, countercultural, or revolutionary about them. They become mere caricatures of the status quo of society. Look instead at genuine revolutionaries, true countercultural individuals. Study the lives and writings of Augustine, St. Francis, the great reformer Martin Luther and the Baptist statesman and pastor John Leland who led the effort to establish our own nation’s Bill of Rights. Study the lives and accomplishments of Susan B. Anthony and Harriet Tubman. Read and study the sermons of Martin Luther King, Jr. These were genuinely transformational radicals in their day and age. They were Christians who stood for truth, who insisted upon personal responsibility and accountability. They were religious and political reformers who insisted upon a society that guaranteed basic human rights. Our freedoms, our civil rights and liberties are due to these Christian revolutionaries. We are their legacy. For in our society, the most radical person is the believer in Messiah. In our world today, the most countercultural individuals are followers of Jesus, who dare to be different, who dare to stand against the tide of relativism and cultural decay, who are ready to be identified with Jesus the Christ. Let’s be honest, Jesus was countercultural. Jesus was revolutionary and a genuine radical, challenging the world view of those of his time and transforming the culture that existed prior to Him. Jesus changed everything! Most important He changed us, transforming us by His death and resurrection. Our Charge. We have a sacred responsibility—a sacred charge to keep. As a Christ-centered community devoted to lives of learning we take our mission and our core values seriously. We are Christ centered, Excellence driven, Learning focused, Missional purposed, and Community directed. We have a mission. We are values-driven. We have an agenda. Consistent with our mission and core values, we are gathered to engage in the privilege and high calling of study and learning. We are tasked with the stewardship of our minds, our intellect. We are commanded to love the Lord with all our hearts, souls, and minds. We do so with eagerness and anticipation. We do so through eyes of faith. We are ready to tackle the big questions of origin, purpose and destiny. We are ready to prepare ourselves to think critically and think christianly. And we are ready to prepare to live as catalysts for transformational change in our world, ready to make a difference. We are ready to prepare ourselves as countercultural leaders who dare to stand alongside the ideals of our Christian brothers and sisters, Augustine, Francis, Luther, Leland, King, Anthony and Tubman. We are ready to take our stand as followers of Christ. Now OBU, carry out your calling. Achieve your mission. Enjoy the royal privilege of study and searching out a matter.